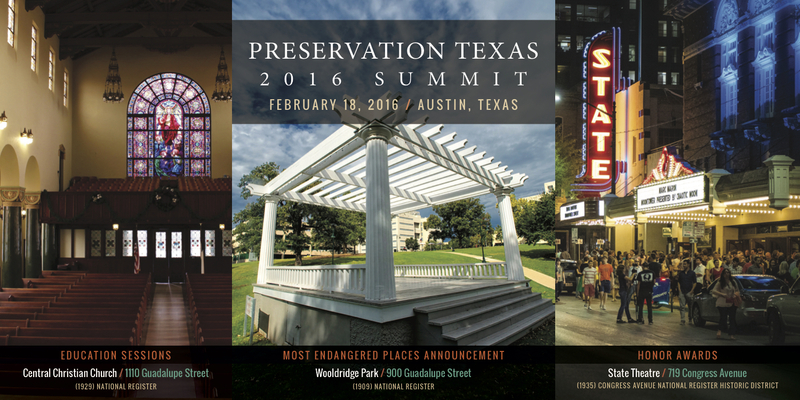 The Preservation Texas 2016 Summit will take place on February 18, 2016 in Austin, Texas. The day’s events include education sessions, announcement of the 2016 Most Endangered Places list and the presentation of our 2016 Honor Awards. Join us for an excellent opportunity to learn, network and celebrate historic preservation in Texas!